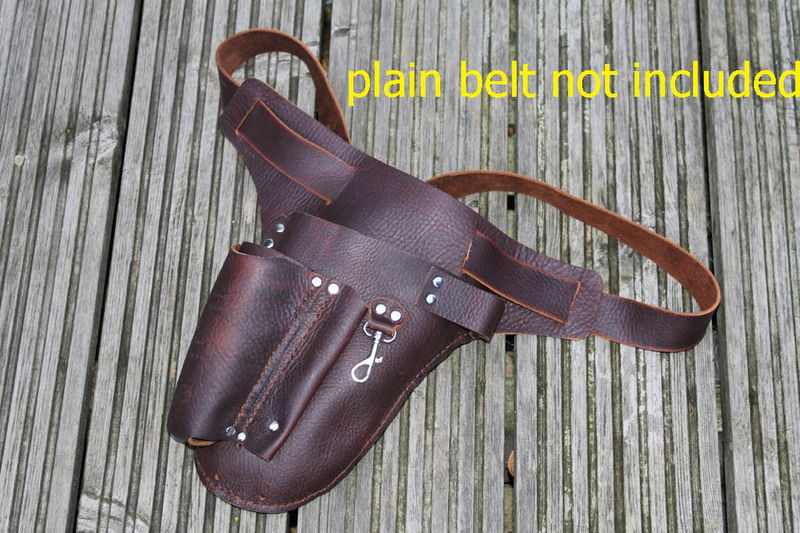 Hand crafted and hand stitched leather tool holster for fruit farmers, flower farmers, horticulturists and professional gardeners. 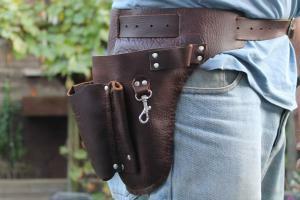 Made from brown oil dyed, supple utility leather, this holster is tough and weather resistant requiring a minimal amount of care. 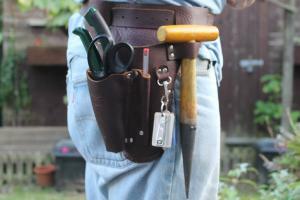 Designed to hold and organise tools and personal effects such as: mobile phone, secateurs, pens, keys, scissors, knife, gloves, dibbers, twine, hand tools, small hammers, note book and markers etc. 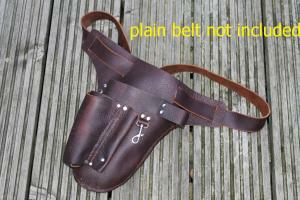 The holster can be used with belts up to 1 1/4" wide enabling the holster to be worn on the left or right hand side. 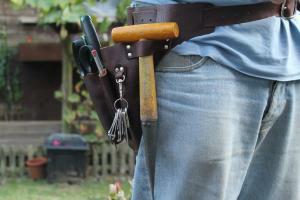 This holster will make an ideal gift for serious farmers, florists, horticulturalists and gardeners.